Anti-Trump activist installs ‘Khashoggi Way’ sign outside Trump’s hotel in D.C.
There’s an effort underway to rename a Washington, D.C., street near the Saudi embassy for slain journalist Jamal Khashoggi. But Claude Taylor didn’t want to wait. The anti-Trump activist created a series of “Khashoggi Way” street signs and placed them in front of the Saudi Embassy and the offices of the Washington Post, where Khashoggi worked, earlier this month. And on Friday, Taylor brought his “Khashoggi Way” signs to Trump International Hotel in D.C.
President Trump is facing criticism for his decision to stand with Saudi Crown Prince Mohammed bin Salman, who US intelligence officials have concluded ordered the killing. 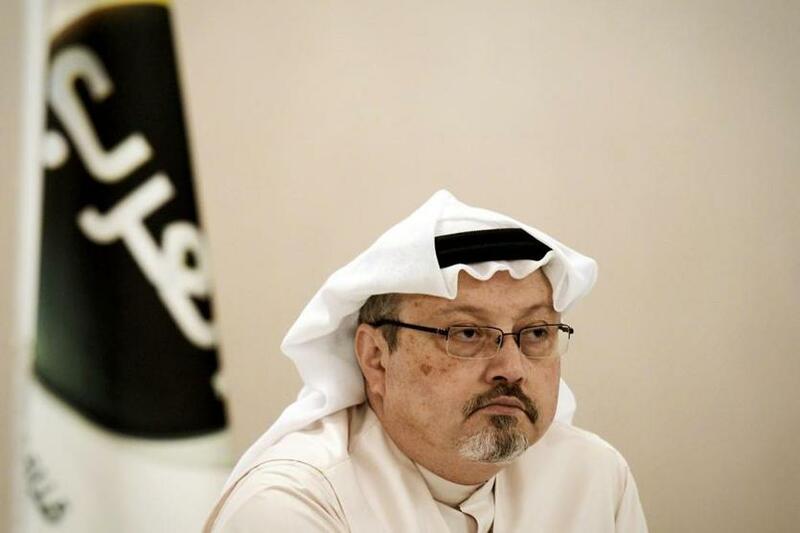 At the end of November, the area’s advisory neighborhood commission called for the renaming of the street in front of the Saudi Embassy “Khashoggi Way” in honor of the journalist, who was killed in the Saudi consulate in Istanbul in October. The proposal will go before the City Council when it is back in session in 2019, but won’t hit the streets until at least 2020. D.C. code requires a person to be dead for at least two years before being considered for a symbolic street naming. A spokesperson for D.C. City Council chair Phil Mendelson told WUSA9 that Mendelson isn’t against the resolution, but that he is adhering to the two year rule. “In two years he would more than happy to revisit legislation to rename the street, should it be proposed,” a spokesperson said.